Bladder Cancer Awareness Month comes right after Testicular Cancer Awareness Month, in May and people need to know more about the symptoms and risks of getting bladder cancer and to seek the help of a healthcare provider at the right time. Bladder cancer is the 4th most common cancer in men in the United States and 8th most common cause of deaths from cancer. Bladder accounts for about 5% of all new cancers in the US.A� Your risk of bladder cancer increases with age, especially in males, as the cancer develops slowly. About 70% of those with bladder cancer are above 65 years of age. The risk is increased even further if you use pipes, cigarettes or cigars as they contain tobacco. Smokers are 4-7 times more likely to contract bladder cancer than non-smokers. Previous history of bladder stones, infections and other bladder problems could put you in the high risk category for developing bladder cancer. Exposure to arsenic, i.e in drinking water is also linked to a higher risk of bladder cancer. Certain drugs such as the chemotherapy drug CyclophosphamideA� can also increase the risk of bladder cancer. One of the symptoms to look for is a bright red or dark reddish brown color urine, and may even have clots of blood in it. This is called hematuria and is one of the symptoms of bladder cancer. Another symptom is that you may have the sensation that your bladder is full more often, causing you to go to the bathroom more. 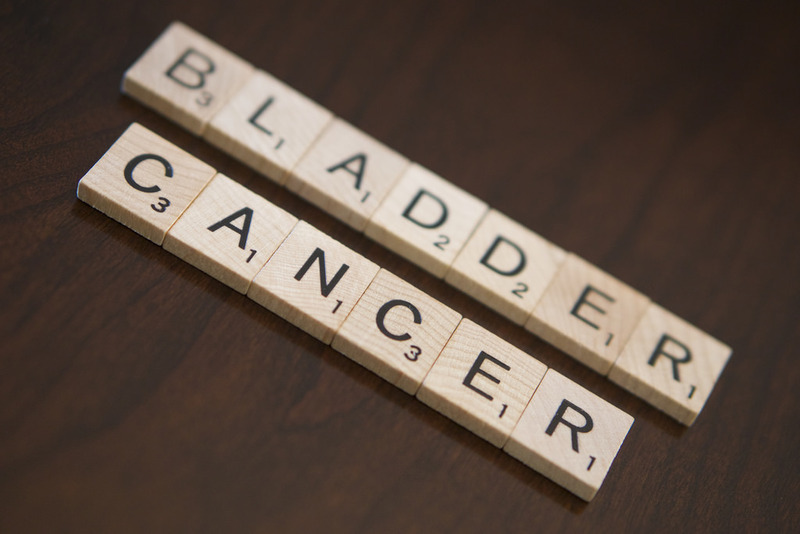 If you feel pain whenever you urinate, it may be because of bladder cancer. Back pain and pain around the pelvic areas may also be symptoms of bladder cancer. Even if your urine doesna��t have the indicated color or seems fine, it doesna��t mean the cancer is not there. Prevention is most definitely better than the cure. However, finding bladder cancer in its earlier stages may just prove to be in your benefit. The 5-year survival rate for people with early stage bladder cancer (stage 0 and 1) is 88% to 98%. Men are more likely than women to have bladder cancer and one University of Rochester Medical Center study shows that the probable cause is the androgen receptor not functioning properly. If you find any of the above symptoms and have been having them consistently or periodically, you should contact your healthcare provider immediately and discuss it with them. It can also help to bring up the subject in your next routinely scheduled examination or in a bladder cancer awareness educational event held during May. In extreme cases, where cancer is suspected, it might prove useful to get a procedure called transurethral resection of the bladder tumor (TURBT). This procedure may help the healthcare provider figure out whether bladder cancer is there in other areas of the urinary tract by taking samples from different areas of the bladder and getting them analyzed, especially if there is no visible tumor.